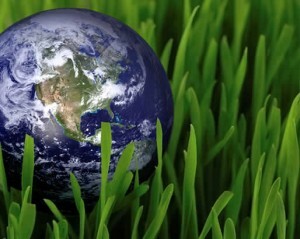 Earth Day is past, but cultivating eco-awareness should be a part of our daily routine. When it’s time to leave home, consider the planet as you make your plans. These simple practices take little effort but can make a big impact on the environment — not just for Earth Day, but every day. Stay hydrated on your flight and avoid wasting multiple rounds of plastic cups by bringing your own H2O along. Keep your reusable water bottle with you as you travel to avoid buying costly and wasteful bottled water. Just remember to fill up after you go through security! “Carpool” by taking a shuttle from the airport to your destination, rather than a taxi. Ride the bus or train instead of renting a car, if you can. And walk as much as possible — it can be the fastest way to get around in big cities. More and more hotels are cleaning up their eco-acts. It’s easy to find those that embrace environmentally conscious practices on a variety of websites. Look for LEED-certified properties (the U.S. Green Building Council’s Leadership in Energy and Environmental Design). LEED evaluates hotels for sustainable site development, water savings, energy efficiency, materials selection and indoor environmental quality to ensure a whole-building approach to sustainability. “Voluntourism” lets you take a vacation and serve the planet at the same time. Work alongside children in need while you volunteer at a nursery school in Quito, or focus on helping people in need through opportunities like the Nairobi Children’s Home, dedicated to keeping the children of imprisoned women safe and off the streets. The opportunities are truly unlimited! Have you got any additional suggestions for our “Greener Travel Guide”? I’m sure your fellow readers would appreciate them. Please add your comments below! Pack a lunch and avoid fast-food. Fast-food companies are notorious for their large Eco-footprints. Thousands of cattle on barren fields, as well as chicken coops, etcetera, contribute vast amounts of excess nutrients to water tables eventually causing hypoxia of water bodies; anti-biotic and growth hormone use, as well as pesticides and herbicides (for feed maintenance), also leach unnatural substances into soils and water tables from these establishments. Less fast-food purchases = less animal production = a safer and more natural environment. If traveling by your own vehicle, keep your vehicle service records up-to-date, and use recycled motor oil. Valvoline just came out with 50% recycled motor oil, and many dealerships/service companies offer “green” oil changes; this will increase gas mileage. Also, keep your tires inflated properly to maximize gas mileage. For shorter trips out of the house; rather than unplugging all of your electrical devices, buy a smart powerstrip that prevents accessory devices such as printers, blu-ray players, monitors, receivers, etcetera from pulling “vampire” power from the outlet while the main device is off. For example, when your LCD is off, the outlets into which you plug your cable box, receiver, blu-ray, cd player, etcetera are turned off. Devices such as these run anywhere from around $20 (3 controlled outlets, six total) to $50 (6 controlled outlets), and vary by brand. If you are traveling to your destination by car, or if you rent a car after arriving, drive defensively and minimize A/C use. Aside from carpooling, defensive driving techniques provide for slower acceleration and longer, rather than abrupt, braking. This will not only save gasoline, or electricity, but also increases the safety of you and passengers. Use the terrain; accelerate slowly up hills, and wait for a downward slope to regain the necessary speed limit, or “coast” downhill if driving a manual transmission vehicle. Although it is debated on how much gasoline A/C use wastes, simply rolling down the windows will save from atmospheric, as well as other non-point source deposition, of CFC’s and HFC’s from refrigerants; nitrous oxide, CO2, and methane inputs, all potent greenhouse gasses, will also be reduced.